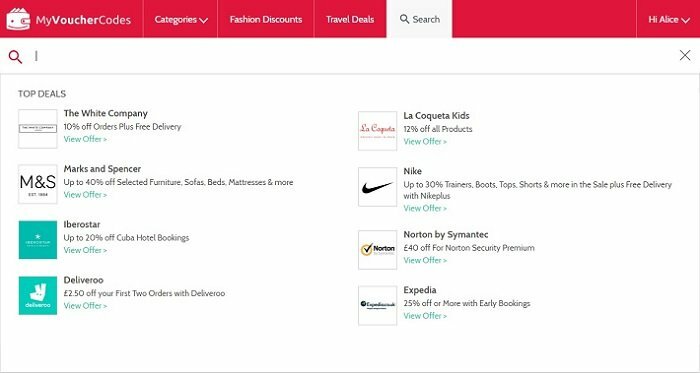 Want to get the latest deals and discounts from your favourite brands straight to your inbox? Search for your favourite merchants in the search bar at the top of each page. Add a merchant to your favourites list by clicking the 'Follow' button at the top of the merchant page. It's as simple as that! Your selected merchant should now appear in My Alerts and you will be notified when there are hot new deals available for this merchant. If new deals have been added to one of your favourite merchants, you will receive an email alert – these are sent daily. Clicking the 'Followed' button on the merchant page so it no longer displays 'Followed'. Opening the My Alerts tab within Your Account – then simply click the red cancel button in the top right corner of the merchant logo to unfollow the merchant, and click the Save Changes button to save your preferences. Why wait? Sign up today.